This recipe has been deemed by many as the best lemon meringue pie ever. It makes a wonderful dessert for holidays or any other special occasion. 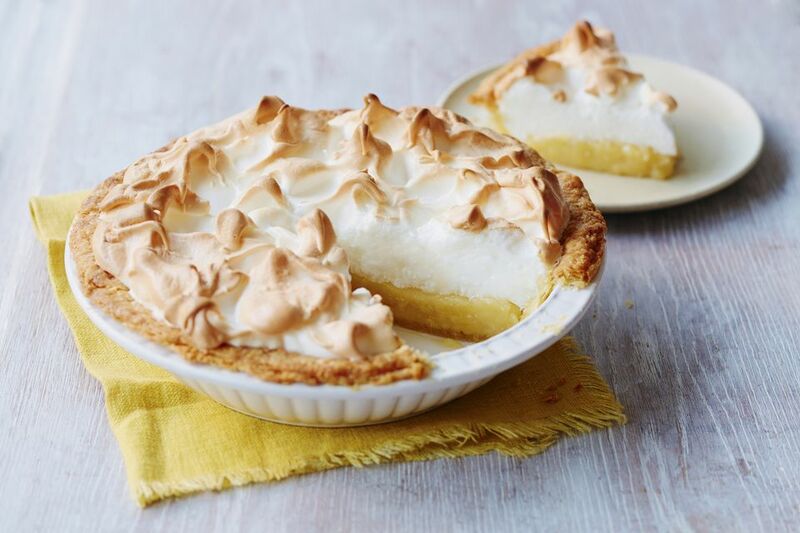 It has a perfect graham cracker crust topped with velvety smooth lemon custard and airy meringue. Best yet, the recipe is simple, as long as you follow the instructions carefully. Using pasteurized egg yolks in the uncooked filling is a good idea, but pasteurized egg whites sometimes just won't whip into stiff peaks. The whites are safer than the yolks, though, so you can use unpasteurized egg whites. Just don't serve this pie to anyone who falls into a high-risk health group. In a medium bowl, combine the graham cracker crumbs, butter, and walnuts and mix well. Press this mixture into the bottom and up the sides of a 10-inch deep dish pie plate. Bake the crust for 8 to 12 minutes or until it is set. Remove the pie crust from the oven and cool completely on a wire rack. Keep oven on. In another medium bowl, combine the egg yolks with the sweetened condensed milk and lemon juice; mix well. Pour into the cooled pie crust and place in the refrigerator. In a clean large bowl, combine the egg whites with cream of tartar. Beat until soft peaks form. Gradually add the sugar, beating until stiff peaks form. Make sure the sugar is dissolved; feel a bit between your fingers—if it's smooth and not gritty, the meringue is done. Spoon the meringue on top of lemon filling. Spread over the pie, making sure to seal the meringue to the edge of the crust or it will shrink in the oven. Use a spoon to make dips and swirls in the meringue. Bake the pie for 10 to 15 minutes or until the meringue is golden brown. If you aren't seeing enough color, put under the broiler—just watch carefully! Place in the refrigerator and chill for 4 to 6 hours before serving. Store leftovers in the fridge. You cannot sanitize the exterior of eggs and make them safe for those in high-risk groups or anyone else. Salmonella is on the inside of the egg too, since chickens with Salmonella have it in their ovaries. According to the USDA, the egg yolk is most likely to be contaminated with Salmonella bacteria. And eggs don't have to be fresh from the chicken for the egg whites to fluff; the protein molecules in the albumin do not degrade for a few weeks.